I recently had a tiny little heart attack and was in the hospital for three days. I’m grateful that I had just filled a prescription for nitroglycerin and took one; that I immediately called my friend, Lisa, who was home and could rush me to the ER, and that I prayed to a God who listens and gives grace. There was no damage to the heart. 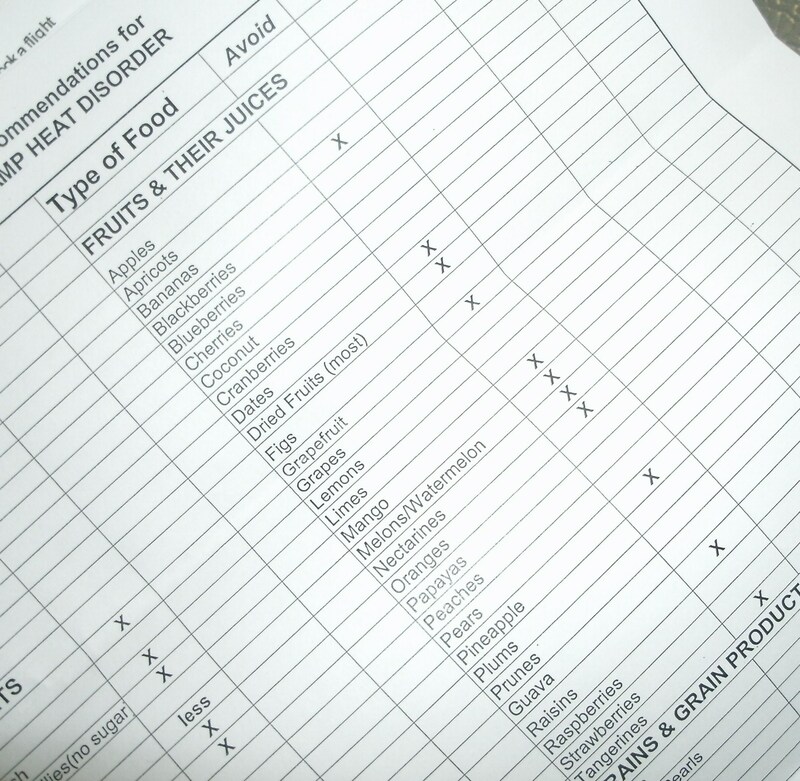 Another of my good friends contacted her Tibetan doctor and mailed me a list of foods, grouped into categories such as grains, dairy, meats, etc. Next to the list are two columns: one called AVOID and the other RECOMMENDED. “Can’t” has never been a particularly effective word for me, I admit. I was born in 1951 and grew up in the era when women were “can’t-ed” into conformity. I’ve fought most of my life against “can’t.” But I’ve also lived long enough to recognize that aging is a process of creating The Other Bucket List – the humble recognition of things that we will never do before the bucket is kicked. Of course, there’s the obvious – win American Idol, have another child, walk a red carpet, become a senator, be awarded the Nobel Peace Prize. Then there is the category listing things I can’t do that I used to do – flip a round-off, play tennis all day, drive across country in two days, or stay up all night. The spirit is willing but the flesh is weak, as Jesus so aptly pronounced to his sleepy disciples in the book of Matthew. The scriptures have another rather famous “can’t” list found in the twentieth chapter of the book of Exodus known as the Ten Commandments, or the Dacalogue. Yes, they are written in stone, as every Sunday School child knows. But think I might be more open to the Tibetan format. What if they were listed like this? So there are, and have always been, things in life that are recommended and things to avoid. In other words, things that bring life and things that bring death. And some of the things I used to do, well, they may have slipped into the death category. I’m just getting old enough to notice the difference.